For those dancers who want to look seriously good! Stand out in the crowd on any dance floor. Master the moves and develop them to a high standard. Gain official recognition with certificates and trophies. A higher standard of dancing is attained through this goal orientated method of learning with more attention to the finer details especially in technique and styling. 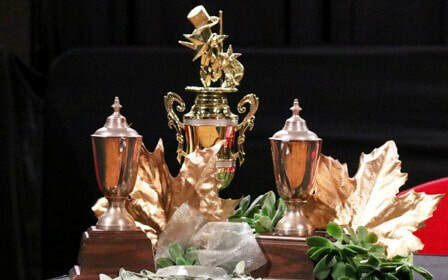 Dance Generation's trophy standards include Bronze, Silver, Gold and Supreme Gold in Ballroom/Latin and South American styles. You still learn at your own pace but there will be exams and progress checks along the way through each level. The trophy dancer's skills will be admired by many. ​Social dancing is for those who are looking to achieve anything from competent to great dancing but prefer a less formal approach to learning. Learn all the dances or only a few. Learn all the techniques or only a few. Develop a little styling or make it as stylish as you want. You will learn a great variety of steps to dances you want to learn and be introduced to basic techniques that will make it feel natural and comfortable. We'll teach you all about leading and following and how to find the beat in the music. The depth to which you delve into technique and styling is purely up to you. Social dancers will feel confident within their own comfort zone on any dance floor. Another opportunity for your dancing to shine, or for you to challenge yourself whichever is your goal. Designed to be a friendly environment where you are judged against your personal best rather than your peers. Hone your skills and develop the confidence to dance in front of others. Ever wanted to be the star of the show? Exhibition dancing is a choreographed routine, either just you and your partner or in a group. It is taking a dance or a piece or music and putting your interpretation on it and presenting it in front of your family, friends and peers. It includes many hours of practice, costumes, lights, cameras, usually a black tie event, nerves, smiles, cheers, exhilaration and lots and lots of satisfaction. Your time to shine, the limelight is yours! Charity: Services donated for Auction, Entertainment. 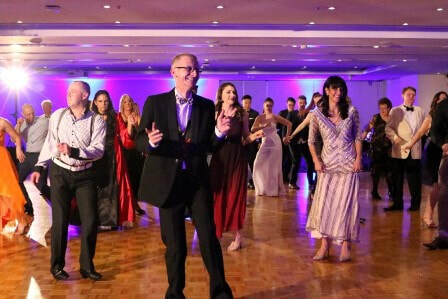 For many years Dance Generation Dance Studios has been happy to support the great work of a number of charities by donating services for auctions and providing floorshows. Entertainment: Floorshows, Helping get the party started. You have an idea; let's see if we can help. If you are looking for the glamour and excitement of a floorshow or having a casual party and looking for someone to help get the dancing started we have the experience. 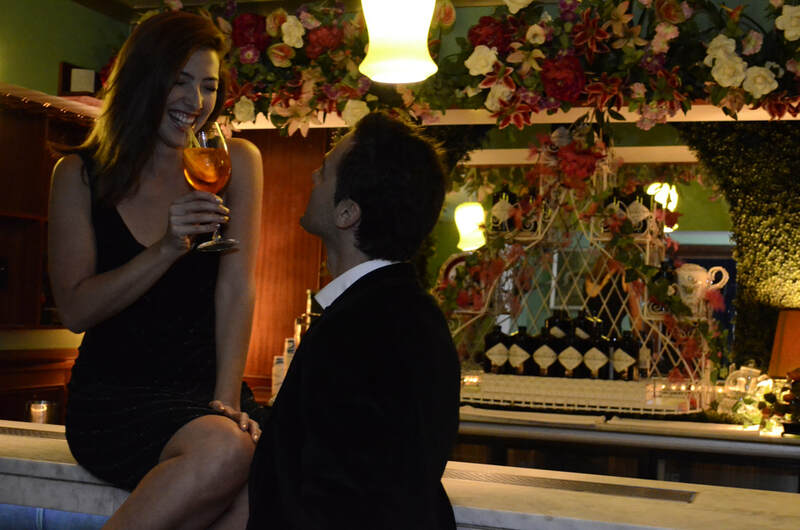 Our aim is to help you make the evening and event a success and to help you bring your ideas to a reality. Corporate: Team Building, Staff Functions, Social Club Activities, Entertainment. Dance Generation Dance Studios has held a number of these events and tailors the service provided around the clients brief. Our premises are available for use or we can hold the event at a location preferred by the client. You can expect professionalism and flexibility with great attention to detail. We have worked with: ANZ Bank, National Australian Bank, Westpac, Savings and Loans Credit Union, Alliance Insurance, BT Financial Group, McIntyre Robertson Scarborough Pty Ltd, Global Intertrade, Adelaide Central and Eastern Division of General Practice and more. Tailored to what you have in mind. Whether it is a birthday, an anniversary, an engagement, a wedding, valentine's day, Mother's day, Father's day, or just because, we will tailor our gift vouchers around your budget and ideas. The voucher is presented professionally with it being a gift in mind. You can choose one of our online courses for your gift voucher or personalise it.